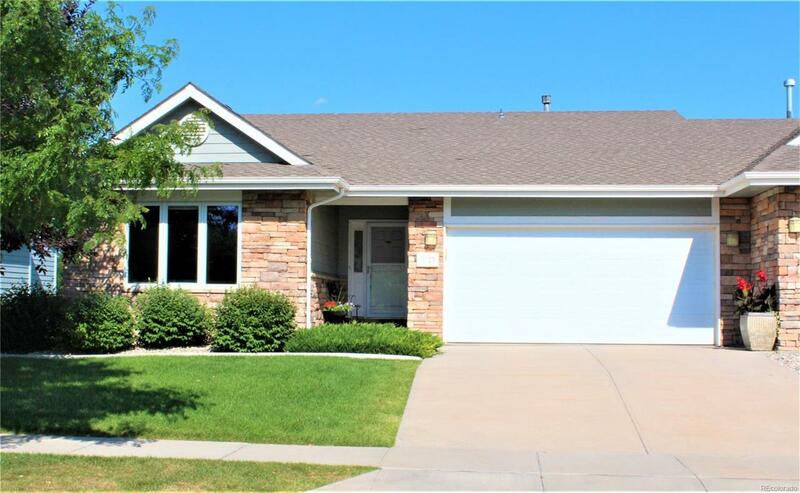 Spectacular southeast Fort Collins patio home backing to walking trail and open space in popular Fossil Lake Ranch is sure to delight. High-end finishes, appointments and updates such as hi-efficiency furnace in '16, Alder cabinets with cherry stain, granite counters, fenced patio area, skylights, SS appliances, travertine backsplash, lots of hardwood flooring on main floor except in bedrooms, solid, 4-panel doors. Recent basement finished with comparable quality as the main floor. Offered by The Group Inc - Horsetooth.